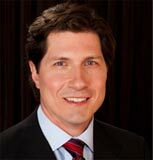 Dr. Jay Calvert is a Board Certified Plastic Surgeon, certified by the American Board of Plastic Surgery. He practices in Beverly Hills, California and Orange County, California, where he performs all types of plastic surgery and specializes in cosmetic surgery. He has a special interest in face lifts, rhinoplasty (nose reshaping), and breast augmentation.